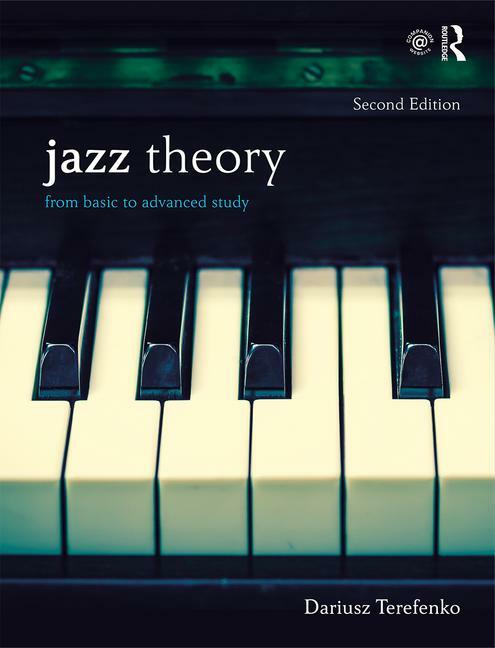 Jazz Theory: From Basic to Advanced Study, Second Edition is a comprehensive textbook for those with no previous study in jazz, as well as those in advanced theory courses. Written with the goal to bridge theory and practice, it provides a strong theoretical foundation from music fundamentals to post-tonal theory, while integrating ear training, keyboard skills, and improvisation. It hosts "play-along" audio tracks on a Companion Website, including a workbook, ear-training exercises, and an audio compilation of the musical examples featured in the book. Jazz Theory Workbook accompanies the successful textbook and contains all the written exercises in addition to brand-new keyboard drills. It works in tandem in the same format as the 27-chapter book yet is also designed to be used on its own, providing students and readers with quick access to all relevant exercises without need to download or print pages that inevitably must be written out. Dariusz Terefenko is Associate Professor of Jazz and Contemporary Media at the Eastman School of Music, University of Rochester.